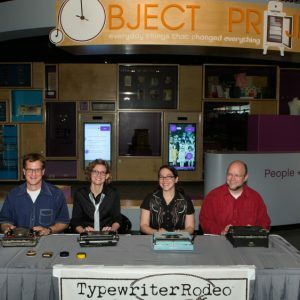 The Smithsonian set up an exhibit just for us in the National Museum of American History. 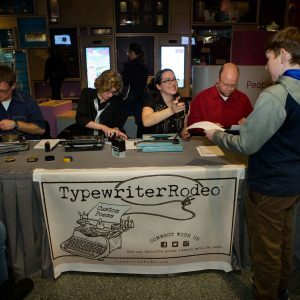 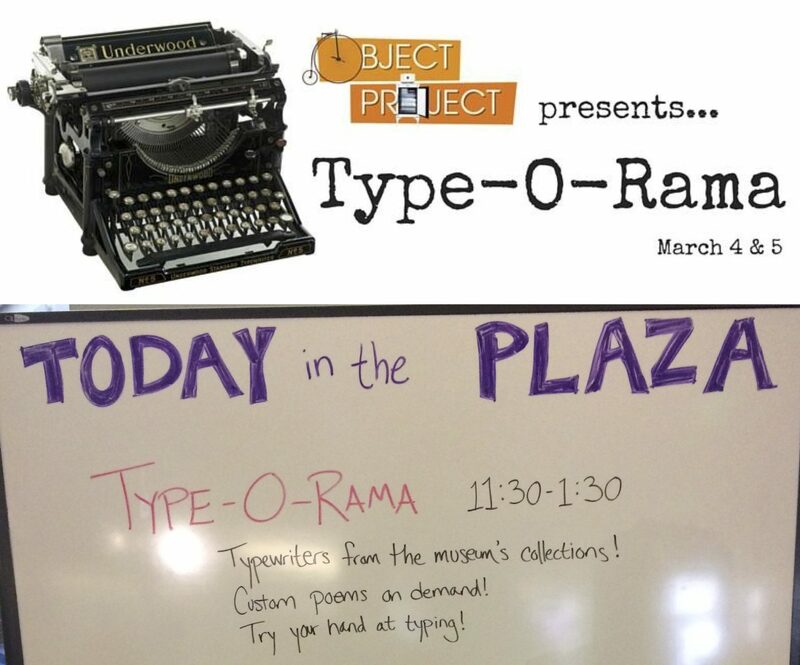 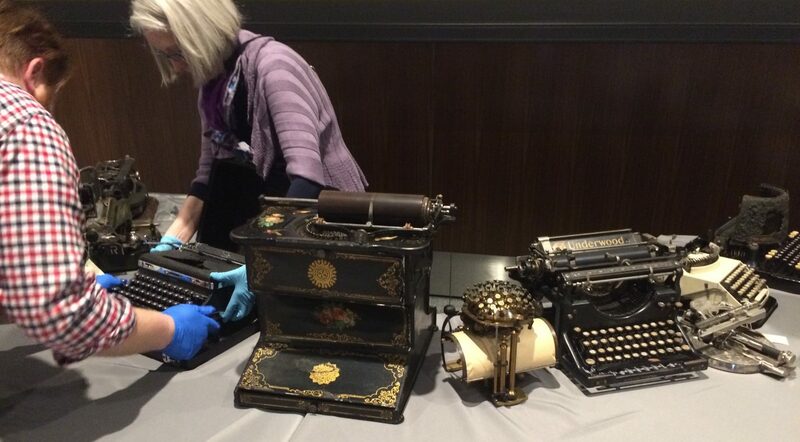 It was called “Type-o-Rama” and featured some amazing typewriters from their collection — and of course we got to type tons of poems for the museum guests! 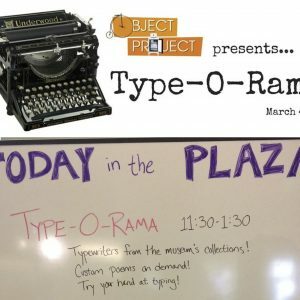 The National Museum of American History set us up in their Object Project wing, as part of a special exhibit called TYPE-O-RAMA. 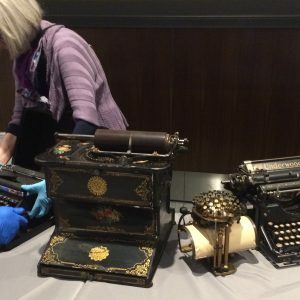 They brought several typewriters out of storage, including a Student model used by Shirley Temple, and an Underwood used to write the first Nancy Drew novels. 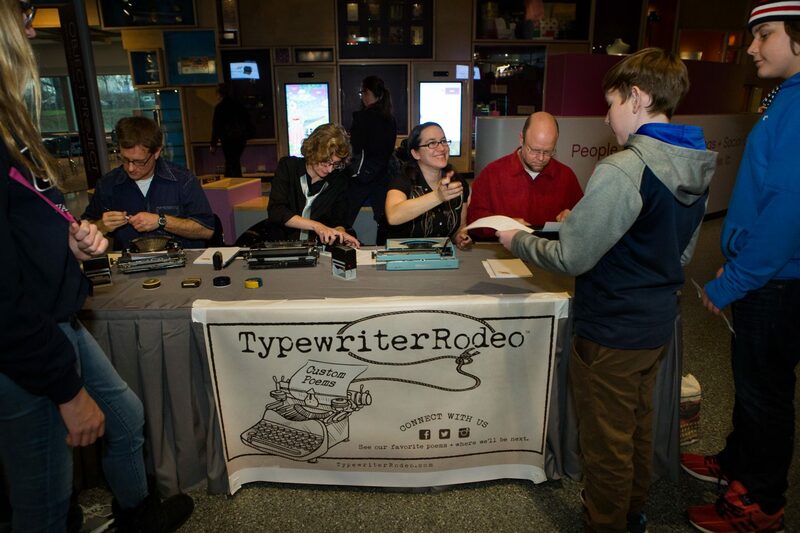 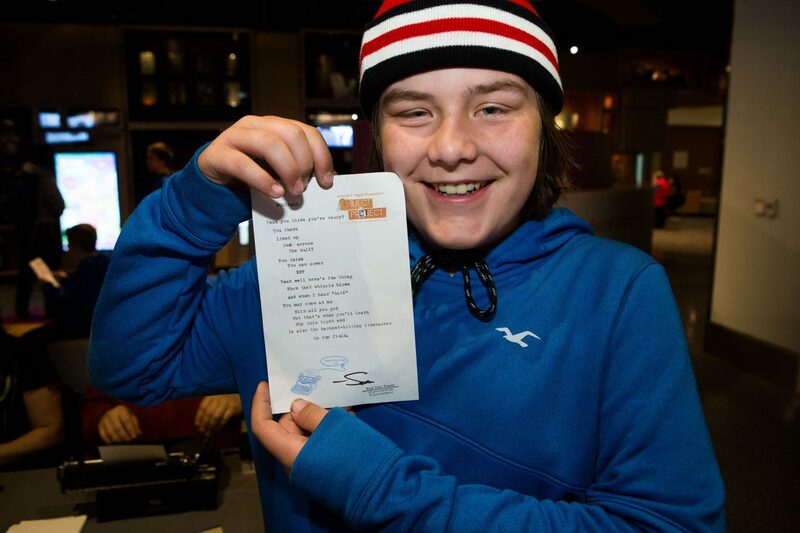 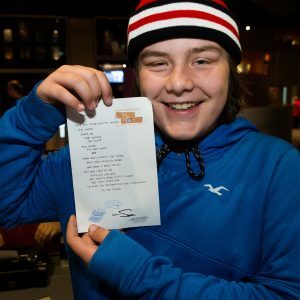 In the midst of those marvelous machines, we wrote poems for guests. 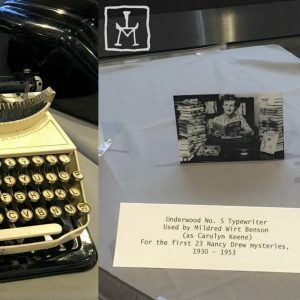 We love museums, so this was a dream come true! 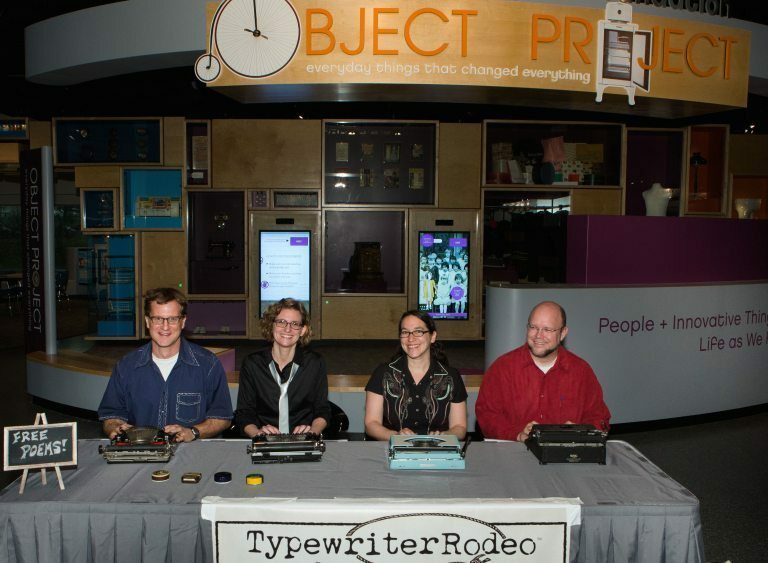 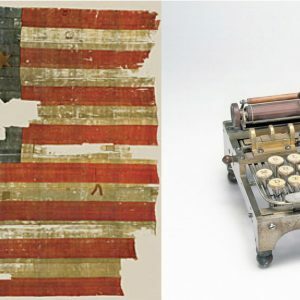 Here’s the Smithsonian’s write-up of the event.